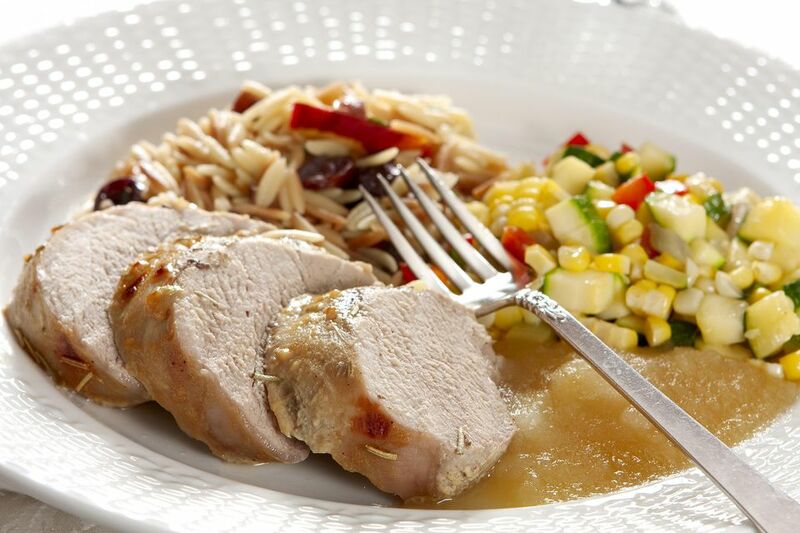 This simple recipe using pork tenderloin is very easy. Make it ahead of time so the meat can marinate overnight; then grill for about 10 minutes and dinner is ready. Pork tenderloin is the ideal meat to serve on a weeknight because it cooks so quickly and doesn't need a lot of attention or fussing. I like to serve this dish with Fresh Corn Salad to round out the meal. Or you could serve it with a green or fruit salad and some toasted garlic bread. In a small bowl, mix the chili powder, dried oregano leaves, dried marjoram leaves, cumin, garlic, pepper, salt, and the vegetable oil until combined. Place the pork tenderloin halves in a shallow pan. Pour the spice mixture over all surfaces of the pork tenderloins and, using your fingers, rub the mixture in thoroughly to coat. Cover the pork and refrigerate for 2 to 24 hours. Prepare a two sided dual contact grill and preheat it. Grill the tenderloins on the two sided grill for 4 to 7 minutes, or on a regular grill for 9 to 14 minutes, until a food thermometer inserted in the center reads at least 145°F. Remove the pork from the grill and cover and let stand for 8 to 10 minutes to let the juices redistribute and the temperature rise to 150 °F. Slice the pork tenderloin to serve.